September 9th, there was a town hall meeting concerning Ferguson and our youth. In the wake of the events in Ferguson Missouri, and the crime that’s been happening locally, Dr. Jamal Harrison Bryant has initiated a meeting of the minds to combat the issues plaguing our communities. 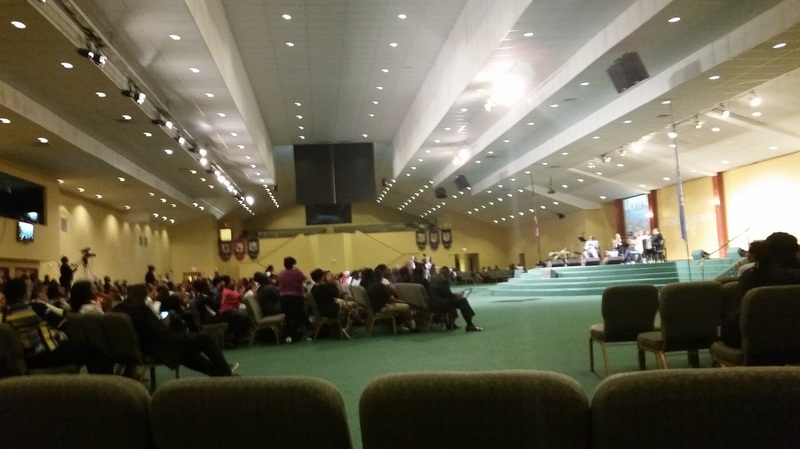 The town hall meeting, Now What B-more, was held at the Empowerment Temple in Baltimore, MD, where Dr. Bryant is the founder and pastor. The meeting addressed concerns in the community such as police misconduct, citizen rights, crime and education. There was a panel discussion focusing on the problem of citizens that are inadequately informed about what to do if stopped by the police. There are certain rights that should not be violated and certain guidelines that law enforcement must follow. Two days before he was supposed to start college, unarmed teen, Michael Brown, of Ferguson, Mo., was fatally shot by Officer Darren Wilson of the Ferguson police department, 1 week after his birthday, Tyrone West was allegedly killed by excessive force by Baltimore City Police Officers, McKenzie Elliott, age 3, was gunned down in broad day light while playing in front of her house in Baltimore city, Eric Garner, father of six, was forcibly strangled by members of the N.Y.P.D. for selling lose cigarettes. So far, there have been approximately 150 murders in Baltimore. This averages out to be about 4 murders per week. This is not a numbers game of statistical data, these are human lives that have prematurely ended by heartless criminals, and those that are expected to protect and serve. These numbers do give a brief snapshot of the need for an additional intervention to ensure the safety of everyone. To combat the problem of crime, as well as police brutality, there must be several planning and teaching sessions where information is effectively communicated to residents of the community. This forum was the session where several community and spiritual leaders, members of law enforcement, politicians, and media personalities, spoke to a crowd of attentive concerned citizens to get ideas and feedback about the causes and prevention of crime in the area. This is some video footage of what we saw and heard.